Samsung has revealed its new mobile processor built on 10nm in the new Exynos 9 series. This processor will be embedded in Company’s next flagship mobile The Galaxy S9. The Exynos 9810 called the Company’s third generation Custom CPU Cores which also support the upgraded GPU. Samsung on Monday stated that the Next Generation Mobile processor will support the 6CA [means Carrier Aggregation, Multiple carriers are combined to improve the Throughput and Speed of Proessor.] LTE Modem Technology. 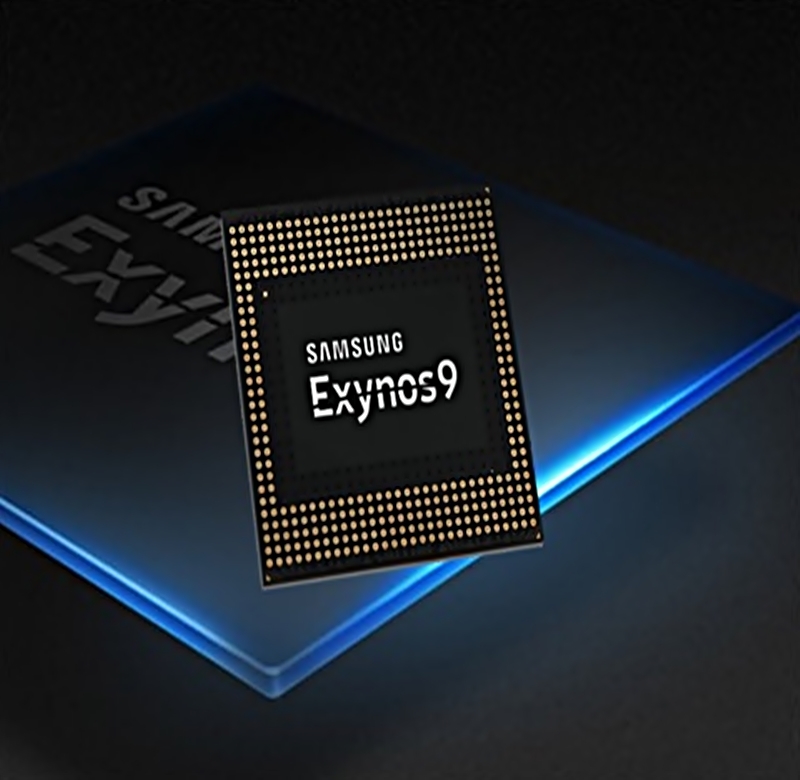 The Samsung Company also claimed that the NEW Exynos 9 Series 9810 SoC has built on Second Generation. The South Korean Company has displayed its finest processor, Exynos 9 Series 8895. This processor comes with distinct features. The LTE Modem of the Exynos 9 series supports 5CA, it comes with the LTE Category 16, the downloading speed of this category 1Gbps and upload speed is 150Mbps. The Exynos 9 series 8895 is used in Galaxy S8 and Galaxy S8+, and in Galaxy Note 8. The Exynos 9 Series is the company’s earliest processor chipset which are built on the 10nm FinFET Technology. There are gossips about the release of Qualcomm Snapdragon 845 Soc. Qualcomm Mobile processor is taken as the rival of the Exynos 9 Series. The prominent thing about Qualcomm is that it is built on the 7-nanometer process, which is faster and more efficient. The Samsung Company will maintain the status of the infinity Display of 5.8-inch to 6.2-inch Screen Display. There are gossips about the Galaxy S9 and Galaxy S9+ that these smartphone will come in market with same screen sizes and same curved design of the Galaxy S8 and Galaxy S8+ smartphone. The next flagship mobile of the Samsung will come with more efficient and faster processor and additional relative compact factor.